Download the free, public domain, 64-bit operating system, Temple Operating System. Terry A. Davis (1969 - 2018). Rest in peace! In the wake of Terry A. Davis' passing his family has requested supporters of his donate to "organizations working to ease the pain and suffering caused by mental illness" such as The Brain & Behavior Research Foundation and National Alliance on Mental Illness. 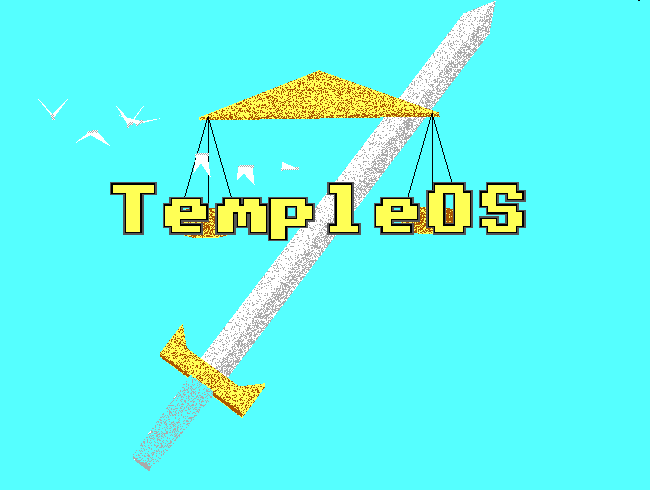 All content related to Terry A. Davis, TempleOS, J Operating System, SparrowOS, or LoseThos should be considered public domain.